Virgin Orbit achieved another major milestone on Sunday, with LauncherOne taken on a captive carry test on Sunday. Carried under the wing of Cosmic Girl, a “flying launch pad” as described by the company, the duo enjoyed a successful first flight together, paving the way for the first launch that is set to take place in early 2019. Cosmic Girl, a Boeing 747-400 (747-41R) series aircraft under then-registration number G-VWOW, undertook its first flight on 29 September 2001 and was delivered to Virgin Atlantic Airways on 31 October 2001. At Virgin Galactic’s San Antonio facility, the company completed a series of laser scans of the left side of the aircraft to acquire precise readings of the portion of the plane that will have to be modified to support the 24,947.58 kg (55,000 lb) LauncherOne rocket and its associated hardware. This was part of a process known as “maintenance D checks”. Once complete, Cosmic Girl was flown to California to undergo tests at Long Beach and Mojave. However, Sunday was the first time she flew with LauncherOne under her wing. LauncherOne is powered by a single NewtonThree engine which will burn for about three minutes. NewtonThree has been optimized to take advantage of launching beneath an aircraft. The second stage utilizes a single NewtonFour engine. During standard missions, NewtonFour will perform multiple burns – totalling nearly six minutes in duration. 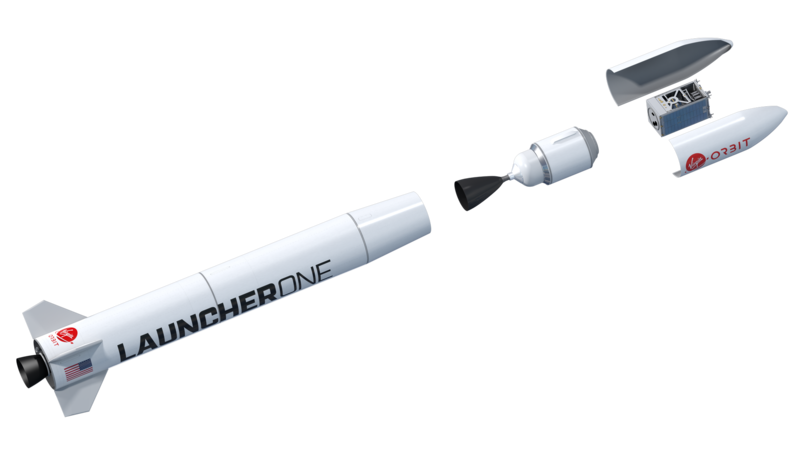 The payload capacity for LauncherOne is 300 kilograms when executing missions to a sun-synchronous orbit. When going to equatorial orbits, the payload capacity increases to 500 kilograms, as the vehicle can take advantage of Earth’s rotation. However, LEO missions will be the initial focus for LauncherOne. With missions beginning in 2019, the Captive Carry test was a major milestone to remaining on track. 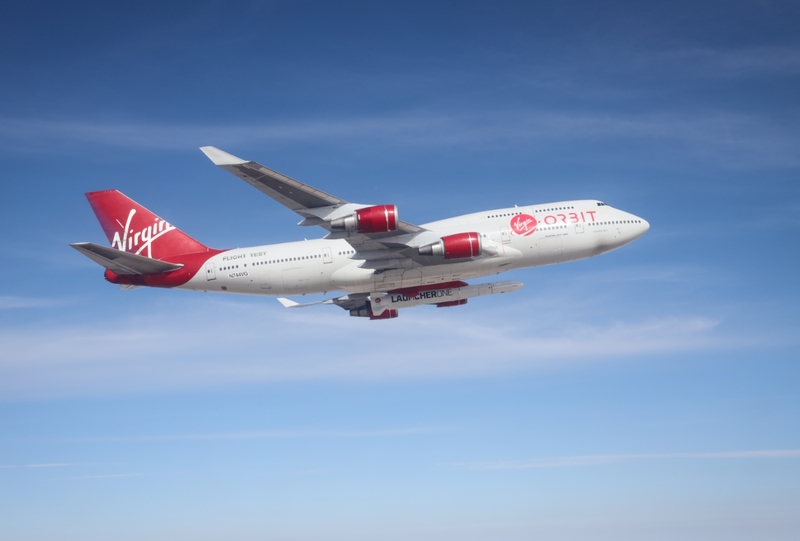 On Sunday, Cosmic Girl and LauncherOne conducted a test flight from Victorville, California – a test facility close both to Virgin Orbit’s Long Beach factory and to one of its operational launch sites, the Mojave Air and Space Port. 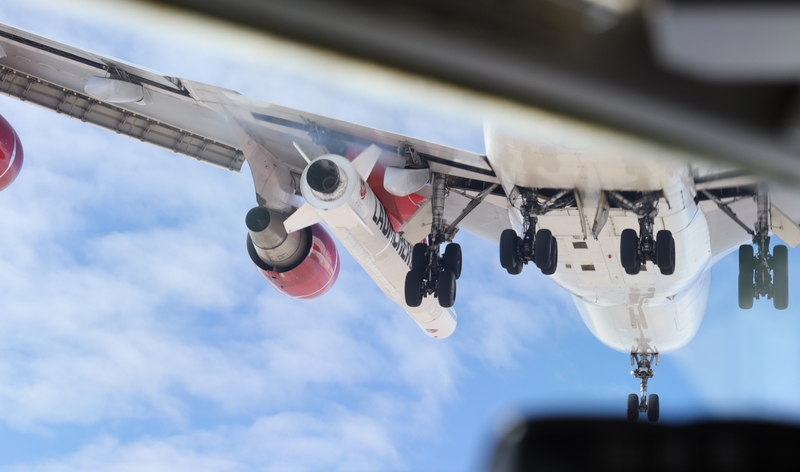 The flight lasted 80 minutes in total, during which Virgin Orbit’s flight crew assessed the take-off, landing, and low-speed handling and performance of the integrated system. 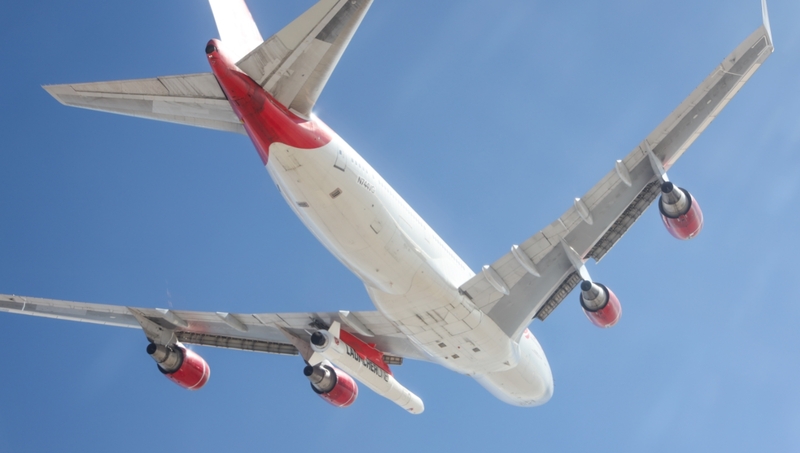 LauncherOne takes the skies with Cosmic Girl – via Virgin Orbit. 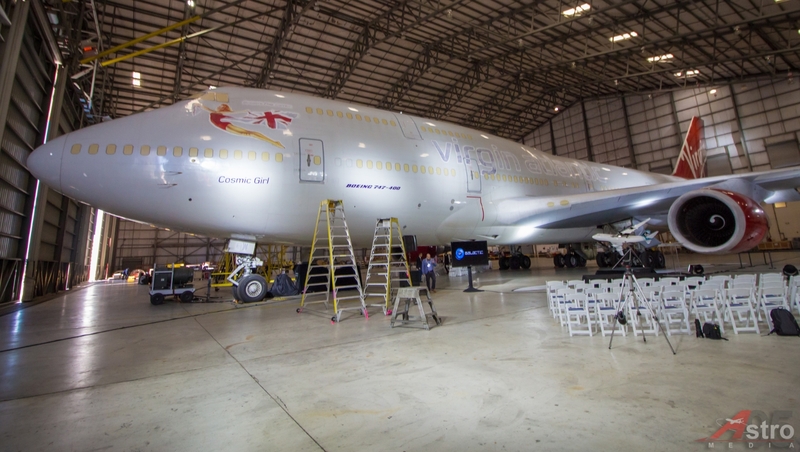 This captive carry test kick starts Virgin Orbit’s extensive test flight campaign, challenging the teams to conduct several more flights of its 747-400, some with a LauncherOne rocket attached and some without. Future tests will focus on further proving out the robustness of the company’s modified 747, the carbon-fiber rocket itself, and the performance of the cutting-edge, lightweight avionics and flight computers onboard the rocket. This portion of the extensive testing regime will conclude with a drop test, during which a rocket will be released from Cosmic Girl — without igniting — generating critical data about Cosmic Girl’s and the rocket’s performance as it freefalls through the atmosphere. For now, Virgin Orbit can celebrate one further milestone along the path to operational flights. CEO Dan Hart described as “a picture-perfect flight, and a major step forward in our quest to bring a new capability to small satellite launch.